What distinguishes the illustrious Guitaris slidis from other members of its instrumental genus? Why is it considered a “whole different animal” from its electric and acoustic kindred? For starters, it sounds different.. 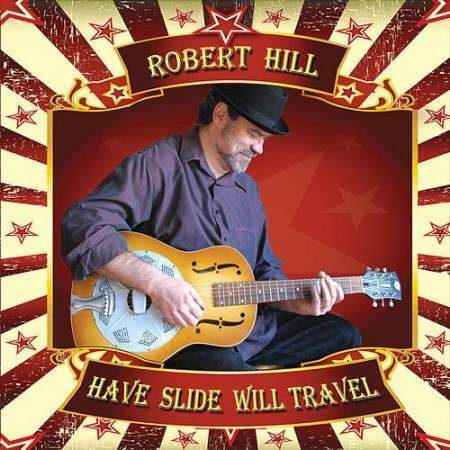 The defining factor in many other guitar solos is, “How fast can one play?” Slide solos prompt listeners to ask, “How skillfully can one make strings sing?” New York blues veteran Robert Hill answers the latter question with rowdy barroom flair on his new album, Have Slide Will Travel. Hill, a native of Little Rock, Arkansas, has been performing in and around the Big Apple for over twenty-five years. His songs have been used extensively in TV shows and commercials, such as ads for Smirnoff Ice, All My Children, Queer Eye for the Straight Guy, Dexter, and the Canadian reality show Hell on Hooves. Robert has also shared the stage with artists such as Rory Block, Debbie Davies, and numerous others. To cap everything off, he was inducted into the New York Blues Hall of Fame in 2014 – a high honor. He certainly deserves it. 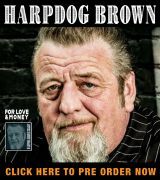 Over the course of fourteen original tracks, Hill takes blues fans on a musical journey through a rugged landscape of feelings – joy, sadness, lust, irritation, and laughter in “The Good, the Bad, and the Unattractive” (reviewed below). The success of any instrumental album depends on how well it conveys – and elicits – emotion without words. Fortunately, Robert has a ton to say. His preferred medium is slide guitar rather than vocal speech, but communication is communication. Alongside the multitalented Hill (guitars, bass, keyboards, mandolin and harp) are drummers Eric Puente, Jerry Krenach, and Frank Pagano; percussionists Puente and Steve Jordan; bassists Mark Murphy and Doug O’Conner; Derrik Jordan on violin, and Art Labriola on accordion. Track 02: “Big Daddy Stomp” – Look out, ladies and gentlemen: this song is larger than life, even though it runs two minutes and twenty-six seconds. It’s a man-cave melody, a beer-and-potato chips tune. Will it put crowds in the mood for being footloose, fighting or feeling romantic? Robert’s wicked intro and nuanced solo might induce all three states at once. Yow! 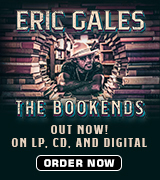 Track 05: “Bubba’s Boogie” – Fabulous number five is why yours truly listed “Ensemble Blues” in the “Styles” category. Robert Hill, Bob Hoffnar, Jerry Krenach, and Mark Murphy go all out on this 1950’s-esque number, which should be slated for an entry on jukeboxes and radio stations nationwide. It’s long enough for couples and singles alike to get their rears in gear and on the dance floor, but short enough not to get tedious. Hoffnar’s pedal steel is especially bright. Track 09: “My Babe” – Take a trip down to the New Orleans bayou with this zesty, zippy musical appetizer. Art Labriola nails the art of Zydeco accordion, as does Hill of mandolin and harp. It’s like a single spoonful of gumbo: blazing hot and spicy. Without a doubt, Robert Hill’s slide guitar is an untamable BEAST!